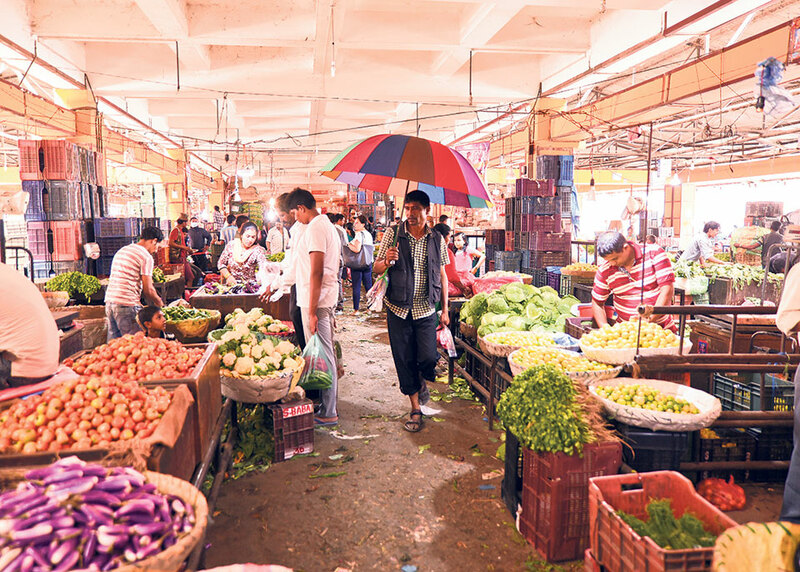 KATHMANDU, June 14: Kalimati Fruits and Vegetable Market Development Board has said that monopoly of some traders at Kalimati vegetables market will end at any cost. Although the board had taken action against monopoly of traders in the past, it was forced to withdraw the action due to protection by higher authorities and collective pressure from some traders, among others, officials of the board say. “However, we expect to end such ill practice this time around as the ministry has stood firmly against these activities,” said Binay Shrestha, senior planning officer of the board. According to Shrestha, traders, who are leasing out stalls at the Kalimati market to other traders at higher price, gang up and put undue pressure on the board time again. “We were helpless against them to some extent. But now we have strong backing of the agricultural ministry,” he added. Altogether 99 traders have leased out stalls that they have rented from the board to other traders by charging higher rent, according to data compiled by the board. Similarly, 120 others are sharing their stalls with other traders. “Likewise, 209 traders have been flouting our rules and regulations,” Shrestha said, adding that only 99 traders, who have taken stalls on lease from the board, are in the good books of the board. The board has classified traders into four groups -- Red, Blue, Yellow and White. “Traders classified in Red groups will not get any chance to correct their mistakes. They will face needful action from the government,” Shrestha said, adding that the board will seek clarification from traders in Blue and Yellow groups. “We will take decision on their fate after carefully studying clarification.” According to Shrestha, traders in White groups will not face any action. The board swung into action against the traders after Minister for Agricultural, Land and Cooperative, Chakra Pani Khanal, announced to end cartel of some traders in the Kalimati vegetables market. The board started writing letters to traders, seeking clarification for heir wrongdoing, form Monday. “If they failed to furnish clarification within the stipulated timeframe, we will scrap the stall leasing agreement,” added Shrestha. Yogendra Karki, the spokesperson for the agricultural ministry, has said that decision taken by the ministry will benefit vegetable farmers, traders as well as consumers. “All the stakeholders will benefit from the ministry's decision,” he maintained.